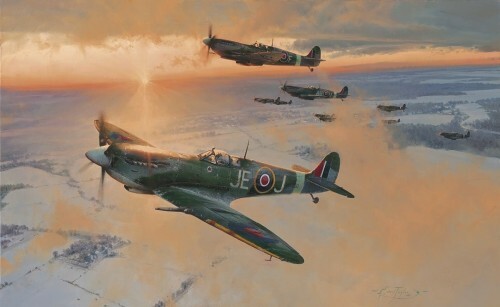 A specially commissioned limited edition print in tribute to the pilots who flew the Hurricane, the aircraft that won the Battle of Britain. 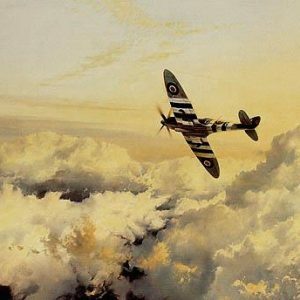 In the azure skies above London and the south-eastern Shires of England during the long, hot summer of 1940, a small band of RAF fighter pilots, substantially out-numbered, and against all odds, flew and fought a savage aerial battle in defence of the Realm. Their success in repelling the might of the Luftwaffe has become legend. They were Churchill’s FEW. Fresh from the heat of battle after a dog-fight over the city, No. 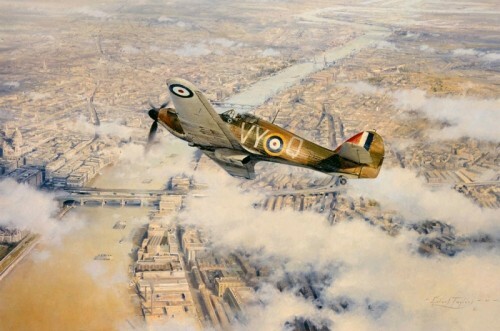 85 Squadron’s C.O., Peter Townsend, levels off and turns his Hurricane for home to re-fuel, re-arm, and rejoin the fight. 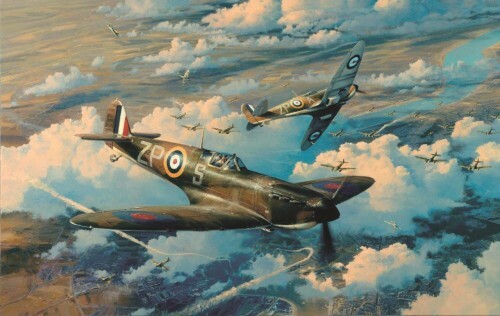 A symbolic portrayal paying tribute to the Hawker Hurricane and its legendary pilots who, between them, accounted for four of every five enemy aircraft destroyed during the momentous Battle of Britain. 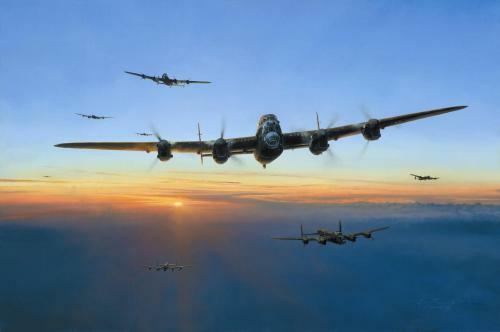 Each print is individually signed and numbered by Robert Taylor and individually signed by Group Captain Peter Townsend.